New York’s Koreatown, once a haven for Korean immigrants who set up shop in the 1970s and ’80s, has undergone a transformation into a city hotspot in the last five years. Located along 32nd Street in Manhattan, K-Town has risen with South Korea’s booming cultural exports, from K-pop to K-dramas, K-beauty, K-food and K-fashion. Until the early 2000s, K-Town was stomping grounds almost exclusively for generations of Korean Americans and international students. Now, local storefronts — once littered with traditional Korean restaurants — are offering more for the widening audience in terms of Korean cultural experiences, from cafes and makeup stores to hip lounges and noraebangs. 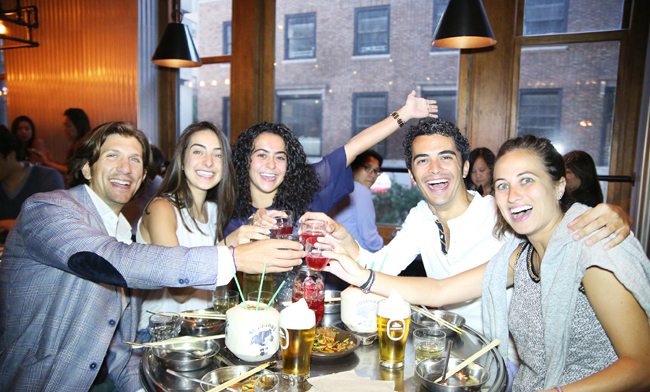 Successful Korean franchises, among them Gyochon Chicken, The Face Shop, Tous Les Jours, Paris Baguette and Cafe Bene, have also taken notice of New York K-Town’s growing potential as a foreign Korean hub.